Built this PC for my wife, she is an artist and uses Adobe Illustrator and PS for editing, so we splurged heavily on the monitor. Otherwise just a casual (non-gaming) user so tried to get decent parts without overkilling it. 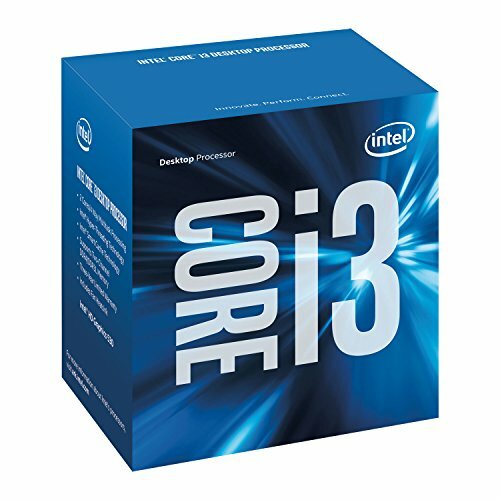 Zippy Skylake CPU, would recommend for any build that wants current technology with Intel quality that isn't ultra-high end. Even have an i3 (prior generation) on my gaming rig and it works great (after all, let your GPU do most of the heavy lifting there). 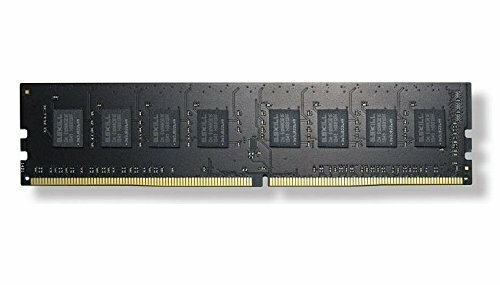 Cheap RAM from a reputable brand. People who pay extra for cool looking RAM... I just don't get. It's inside of your PC... who sits there staring at RAM sticks while on the computer? Anyway G Skill is solid and this didn't disappoint. Didn't want to shell out for a full SSD and this puppy is doing the trick. 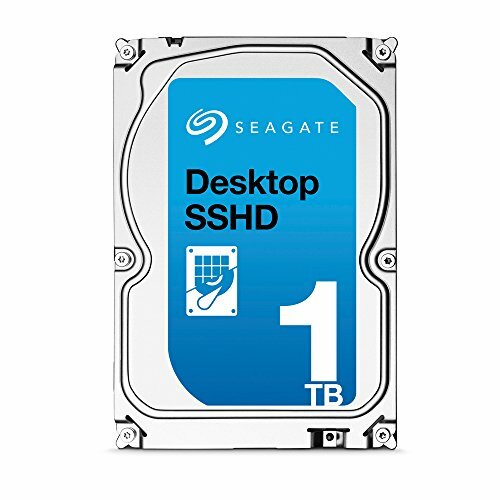 The firmware learns your most used programs and puts those on the SSD portion of the drive, so after a few reboots Windows 10 is loading in a matter of seconds. Definitely worth it, you won't even realize you don't have a full SSD. That said I have a lot of high res scans and photos, if you can get by with less space you can probably get a < 480 GB full SSD for the same price. This guy is huge for a mini ITX case, but my wife wanted a white case so the options were limited. Would definitely recommend for a small form factor gaming rig as there is plenty of room for a GPU. The top and bottom "legs" or open loops, whatever you want to call them, are a little on the flimsy side, which is unfortunate as you can essentially rock the thing while it's on the ground with just a slight touch. Might try adding some rubber or felt feet to the bottom and see if that helps. Wouldn't put me off from buying it, but just an irritant. If fans start really working I hope it doesn't rattle. Got this bad boy for $25 after mail in rebate (fingers crossed that I actually get the rebate...). 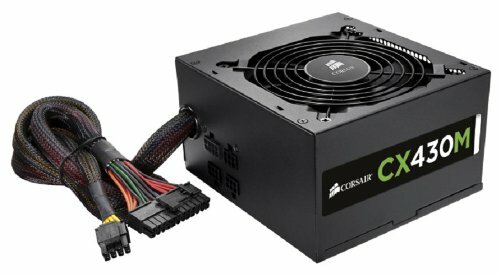 For a rig without a GPU you really don't need a 500W+ PSU, in fact I probably only needed more like 300W but it's hard to find small PSUs. As this is Bronze rated you're also getting what I would consider the base entry to PSUs (don't go beneath it). It's whisper quiet so far on a ~110W load. Love the modularity, that plus the smaller wattage goes great with a mini-ITX build. I would have purchased Windows 7 had Microsoft not recently announced that they're stopping support of that OS in the very near future. So far my assessment of Windows 10 is that Microsoft has removed a lot of the customization in the spirit of "we know better." For example: Windows Updates are now automatically downloaded and installed, no option otherwise (this could be awful if you're in the middle of a game and watch your latency spike). A lot of the default settings send your data to Microsoft to "improve your experiences" so you'll do a lot of turning that stuff off. To be honest it just seems like a bunch of Microsoft bloatware and Windows 7 had a baby. I liked Windows because unlike iOS I could tinker with it to be exactly what I wanted, and a lot of that has been removed. Why did you want to use display port over another connector? That way you could have spent less on a mobo. I sifted through all compatible boards on this website starting with the cheapest. 1) I had to rule out HDMI as the frame rate caps @ 24Hz. I tested HDMI on this monitor and the mouse drags across the screen almost as if it has a tail. It was awful, meaning my options were either dual-link DVI or DP. 2) None of the other boards (at least, the ones cheaper than the one I bought) indicated that they had dual-link DVI. Some of the ports had the pin configuration of dual-link but the manuals and the specs on the websites only listed the single-link spec of 1920x1200 max resolution. I did some research and found that it's entirely possible that they put the dual-link port on the board even if the board would cap the resolution at single-link DVI (for the purpose of cable compatibility). That was a huge risk to me, sounded like best case there was a 40% chance it would support dual-link. I initially picked the GA-H170N-WIFI for this build but it suffered from the problems captured here, and my emails to Gigabyte tech support went unanswered after a week. In fact now two weeks later I log into their support website and my question is still labeled "New" - hasn't even been looked at. In short, I didn't want to put an entire PC together and not be able to take advantage of the 2560 x 1440 resolution @ 60Hz monitor that I purchased, so to me it was worth the $30 upgrade to DisplayPort. Did you look at getting a cheap graphics card with display port and a cheaper mobo. 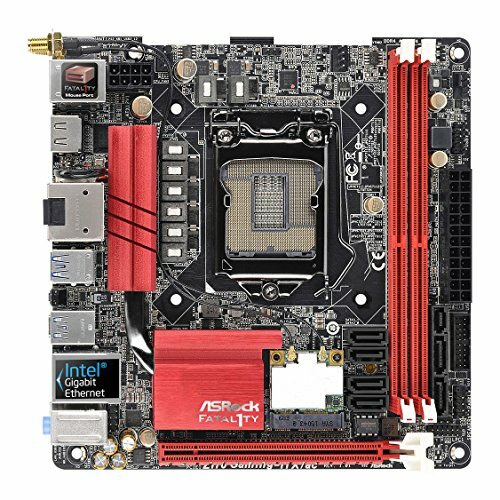 Just wondering about your rational as I'm often unsure on what to choose as a mobo. I am a believer that brands matter when buying components. You can always cut costs in a build but I'd rather pay a few bucks more for a part that will last for 10 years. For a motherboard, as an example, I would never purchase a brand that isn't Gigabyte, Asus, ASRock or MSI without doing a heap of research first. Finally when buying a graphics card you really need to consider what you are using the machine for. If gaming you'll obviously want a dedicated card as integrated graphics will not be great performers especially into the future. And if you're going to build a gaming machine, you probably don't want to cut corners on the piece of hardware that will impact your experience the most, so you're probably talking $150 and up for a decent GPU. Rambling but just my thought process! I was a bit confused on the prices now that I look at it. That board you used is $260 in Canada. If its only about $150 in the states then that makes a lot more sense to me. I'm guessing you want to upgrade the cpu to an unlocked version and that's why you purchased the Z mobo. How about some more pictures please? Actually I purchased this board because it was the cheapest way to get DisplayPort. Single-link DVI has too low of a resolution cap and HDMI's 24Hz limit is a migraine waiting to happen. I answered a similar question below in more detail if you care to look! Huh cool deal. Good answer.